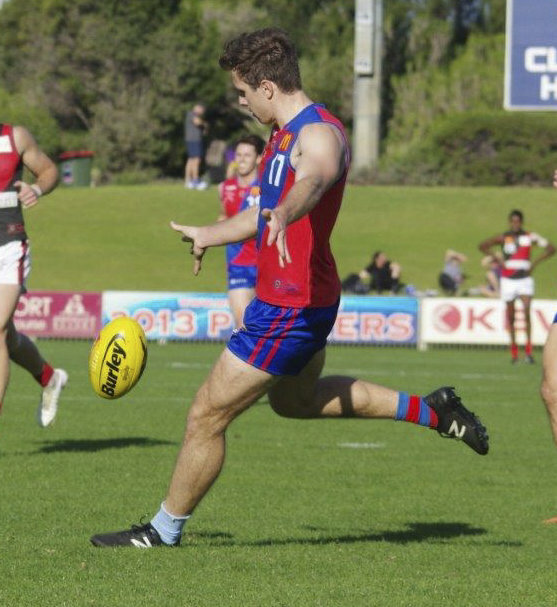 WEST Perth continued its strong WAFL form to retain touch with a top two spot this season while making it 15 consecutive wins against Perth with Saturday's 21-point victory at Joondalup Arena. West Perth and Perth both came into Saturday's match up at Joondalup Arena in good form with the Falcons having won three of their past four matches, and the Demons their previous two setting the stage for a fascinating contest. The signs were ominous early when West Perth kicked the first two goals of the game, but Perth steadied impressively and even managed to lead at quarter-time. The Falcons again threatened to run away with the game early in the third quarter before the Demons again fought back to close to within 18 points. But West Perth would have all the answers on the day ending up recording the 15.6 (96) to 11.9 (75) victory. That makes it 15 in-a-row for West Perth against Perth with the Demons' last win over the Falcons coming way back in Round 18, 2011. On top of that winning streak against Perth continuing, West Perth has now won four of its past five games this WAFL season to improve to a 7-4 record on the season to be only percentage behind the second placed South Fremantle. They also now sit two games and significant percentage ahead of the fourth placed Swan Districts. 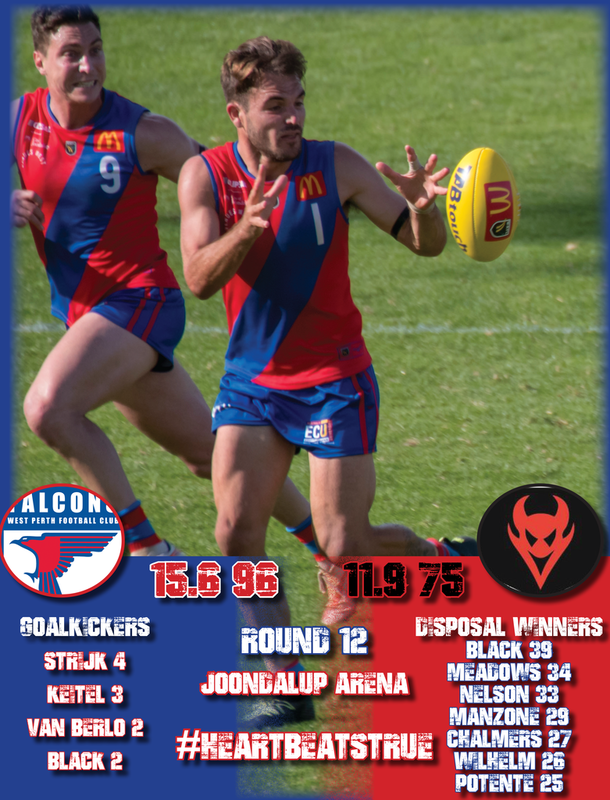 West Perth's prolific ball winners through the midfield were again instrumental in the victory with none better than captain Aaron Black who finished the afternoon with 39 possessions, 11 marks, seven inside-50 entries and a goal. Luke Meadows continued his stunning form too with 34 disposals, nine tackles, eight inside-50 entries and seven marks. Shane Nelson had another 33 possessions too with Trent Manzone collecting 29 disposals, Corey Chalmers 27, Blake Wilhelm 26 and Steve Potente 25 to go with seven marks, six tackles and a goal. Ben King gathered a career-high 17 possessions to go with his five marks and four tackles. Andrew Strijk continued to thrive in his role playing deep in the forward-line kicking another four goals to give him 17 goals in his last three games. Tyler Keitel also kicked three goals from 12 kicks and nine marks for the Falcons. Keegan Knott kicked two goals as well. It took only four minutes for West Perth to make the flying start on return to Joondalup Arena with quick goals to Andrew Strijk and Steve Potente. Given the Falcons had won 14 straight against the Demons, that wasn’t the start Perth was hoping for but they did respond with the next goal thanks to Laine Wilkins who is having the best and most consistent season of his career. 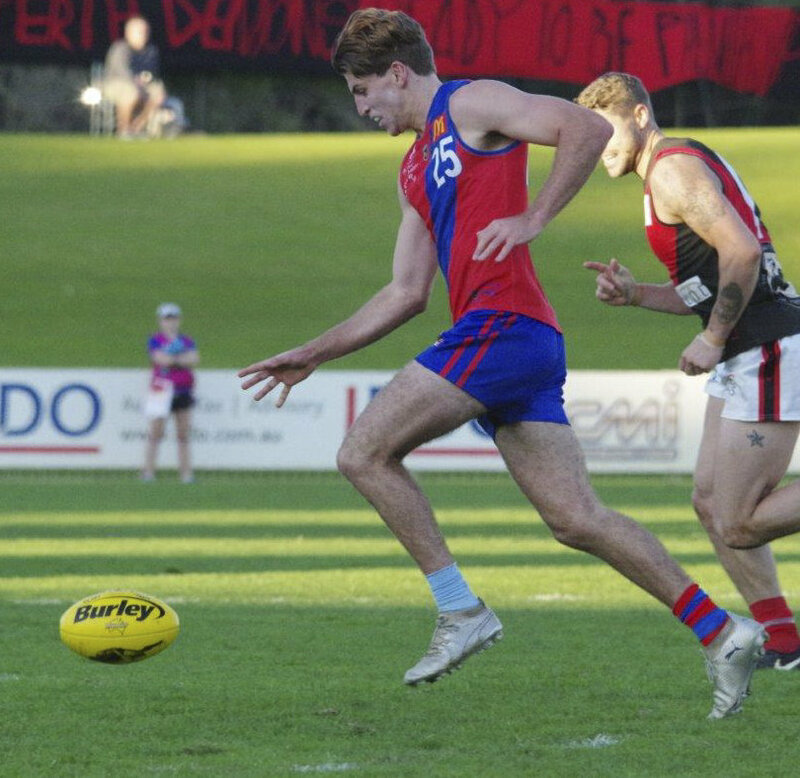 Perth then drew level with a goal to the returning Marshall Jones and then after West Perth got one back through Keegan Knott, the Demons finished the first quarter with strong momentum thanks to two goals from Michael Bennell to be in front by five points. Again West Perth made a fast start to the second quarter with a goal to Tyler Keitel inside the first minute. Michael Lourey, Strijk and Conal Lynch then kicked truly also to help the Falcons open a 17-point advantage 18 minutes into the term. It was a goal fest in the last 10 minutes of the half with both teams combining for five of them but it was Jay van Berlo who kicked the last of the quarter to give West Perth the 30-point half-time lead. Strijk added another to start the third quarter but Perth wasn’t going away and booted the next three of game through Kristian Cary, Corey Byrne and Cary again to get back within 18 points before West Perth steadied just before the siren with Keitel's second to be 24 points up. It was then two goals apiece in the last quarter as West Perth came away with the solid 21-point win to make it 15 straight over Perth. 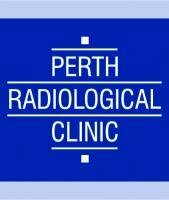 West Perth's colts closed to within a game of a spot inside the top five of the ladder with a 72-point thumping of Perth at Joondalup Arena on Saturday. It was the beginning of a winning day for West Perth back on home turf at Joondalup Arena but it was the Demons who actually got off to a good start in the colts contest. Perth dominated the opening quarter with nine scoring shots to one. The Demons did manage just three goals from those opportunities but they were still in control leading by 18 points at the first break. West Perth turned things around in the second quarter with eight scoring shots to one and the Falcons managed to kick 5.3 from those opportunities to head into half-time leading by 14 points after the Demons managed just the one behind for the quarter. The Falcons continued the momentum after the break with another six goals to one in the third quarter and then it was another six majors to one in the final term as they ran out thumping 18.5 (113) to 5.11 (41) victors. 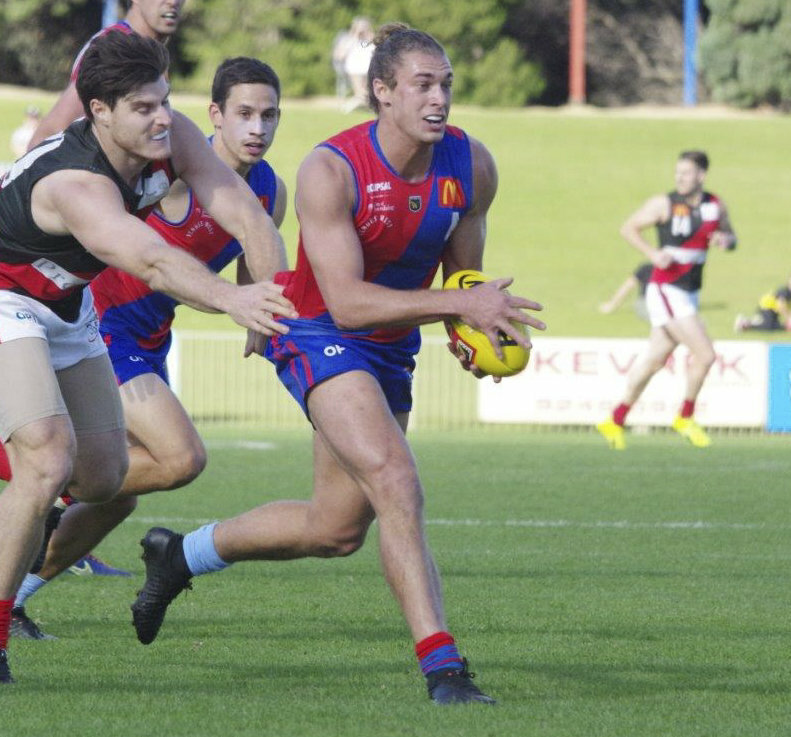 Alec Johnson had a day out for West Perth kicking five goals from 20 possessions and five marks. Nathan Murray also kicked three goals to go with 26 disposals while Tyron Hindmarsh also finished the game with 25 touches and three goals. 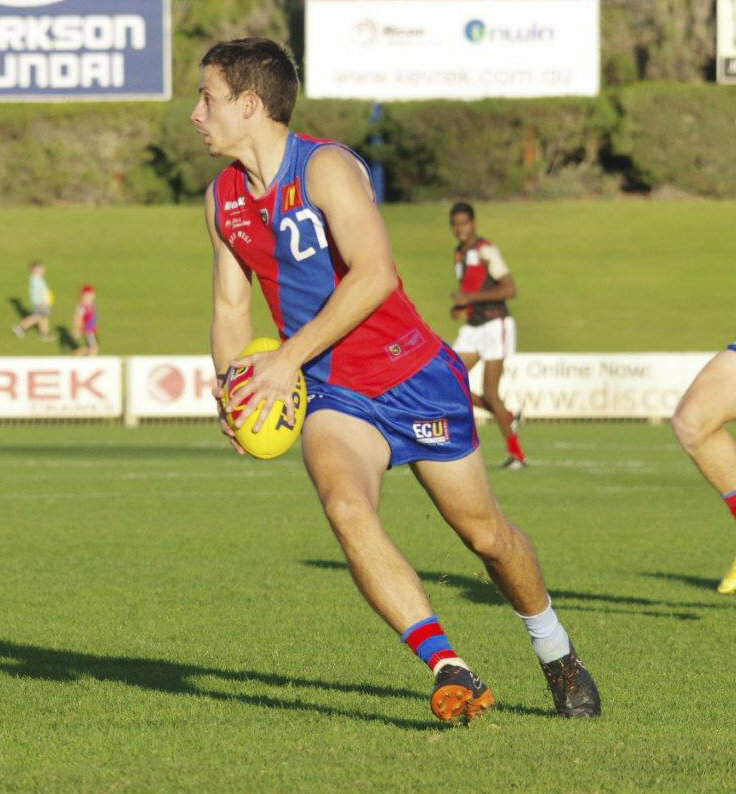 Noah Clune kicked two goals as well for West Perth. Jack Burke also had 16 possessions for the Falcons, Jaxon Prior 16 and Zac Patterson and Eamon Gilbert combined for 48 hit outs sharing the ruck duties. West Perth's winning day at Joondalup Arena continued in the reserves with the Falcons beating Perth 14.9 (93) to 10.9 (69). It was a tight first half with West Perth only leading by five points at quarter-time and seven at the half. But the Falcons pulled away in the third term with five goals to two and went on to record the 24-point victory. 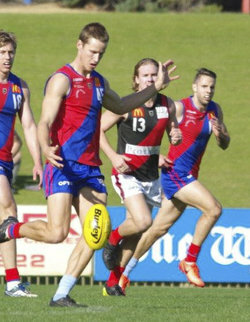 Joel Bennett kicked three goals for West Perth, Max Alexander two, Baylee James two, Dylan Yem two and Rudy Riddoch two. Aidan Lynch finished with 24 possessions for the Falcons, Dean Munns 23, Matt Guadagnin 20, Tom Boyes 20, Alexander 19 (10 marks) and James 17 (eight tackles). 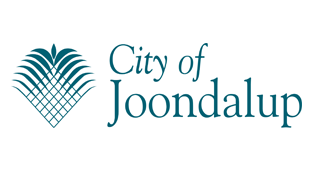 West Perth remains at home this Saturday to host the unbeaten Subiaco at Joondalup Arena in the annual International Football Festival celebration. 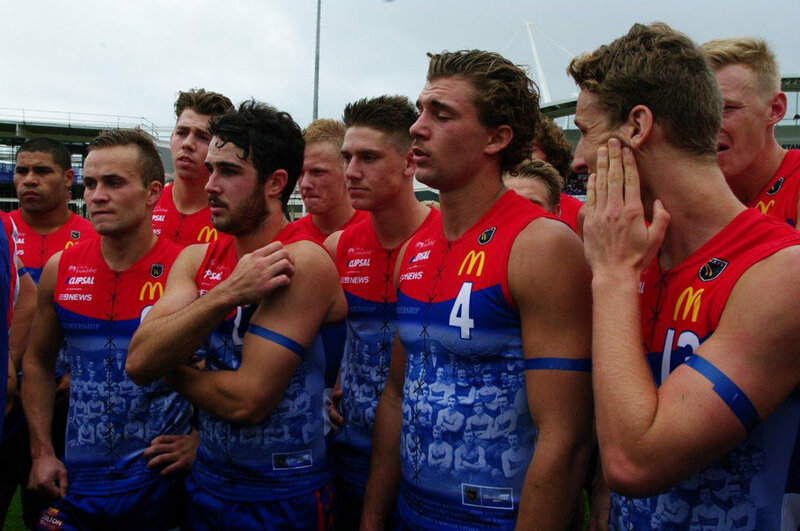 WEST PERTH – Goals: Strijk 4; Keitel 3; van Berlo, Knott 2; Black, Lourey, Lynch, Potente. Best: Black, Meadows, Wilhelm, Potente, Strijk, Nelson, Manzone, Keitel. PERTH – Goals: Cary, Bennell 3; Wilkins 2; Byrne, Scotney, M Jones. Best: Sinclair, C Jones, Colledge, Bennell, Yeo, Leggett.